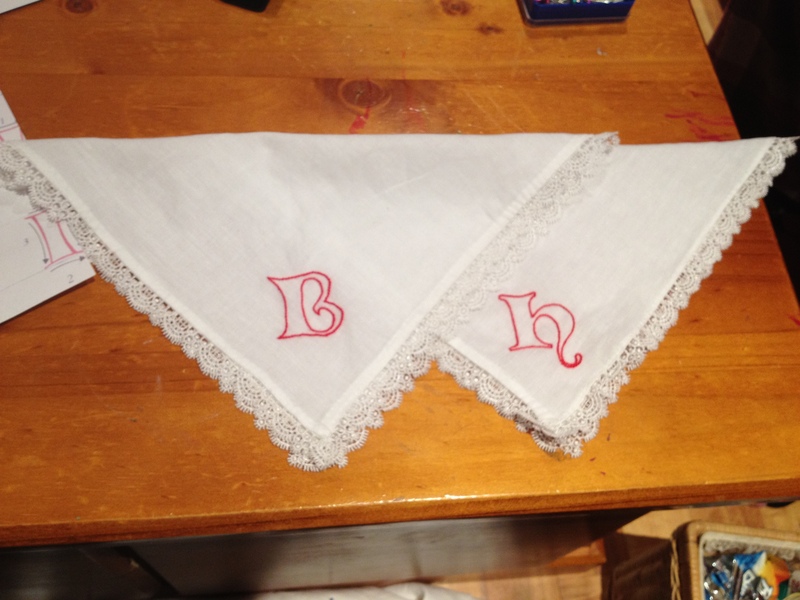 The two handkerchiefs for King Henri and Queen Beatrice. 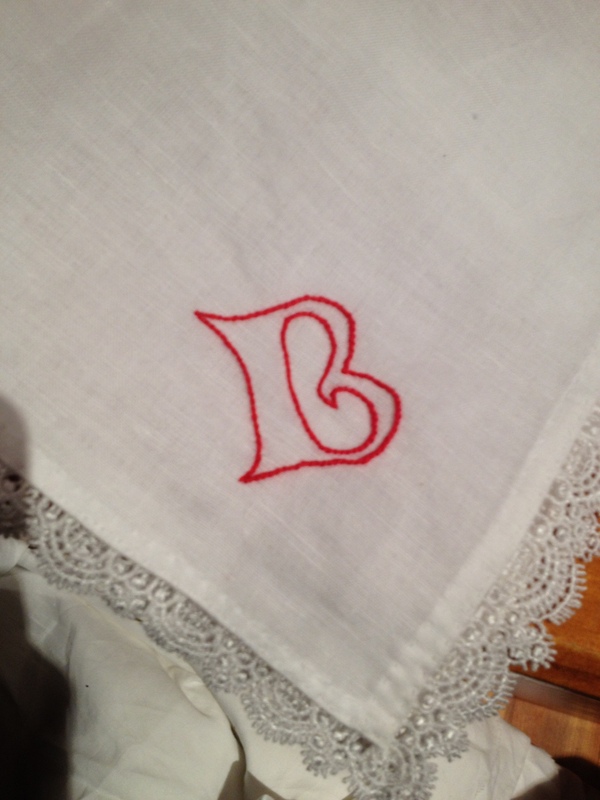 Stem stitch monogram for Queen Beatrice that I embroidered onto a linen handkerchief I hemmed and added pre-made cotton lace to as a gift from the Barony of Politarchopolis to Their Majesties when they visited Fields of Gold. 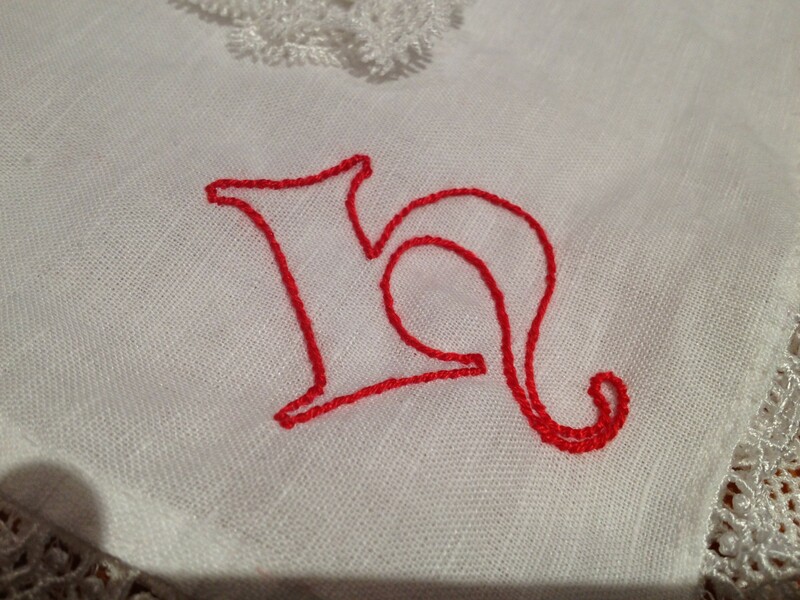 Stem stitch monogram for King Henri that I embroidered onto a linen handkerchief I hemmed and added pre-made cotton lace to as a gift from the Barony of Politarchopolis to Their Majesties when they visited Fields of Gold. 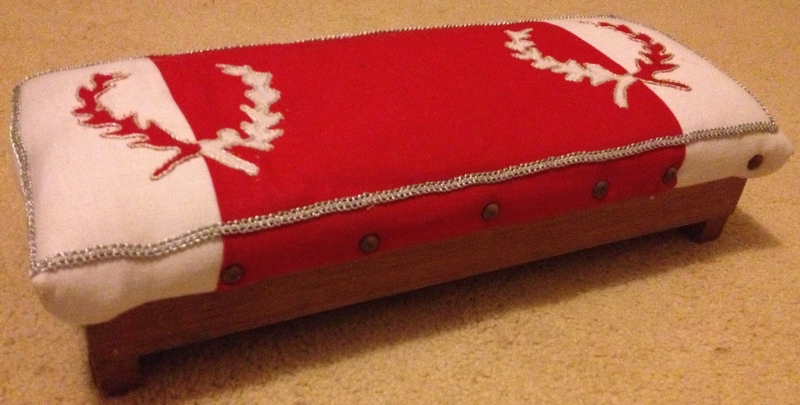 The Baronial Kneeler cover that I designed. It was an existing kneeler that was refurbished into Baronial colours, made with some assistance from others. Frame donated by Mistress Mathilde and Sir Stephen.